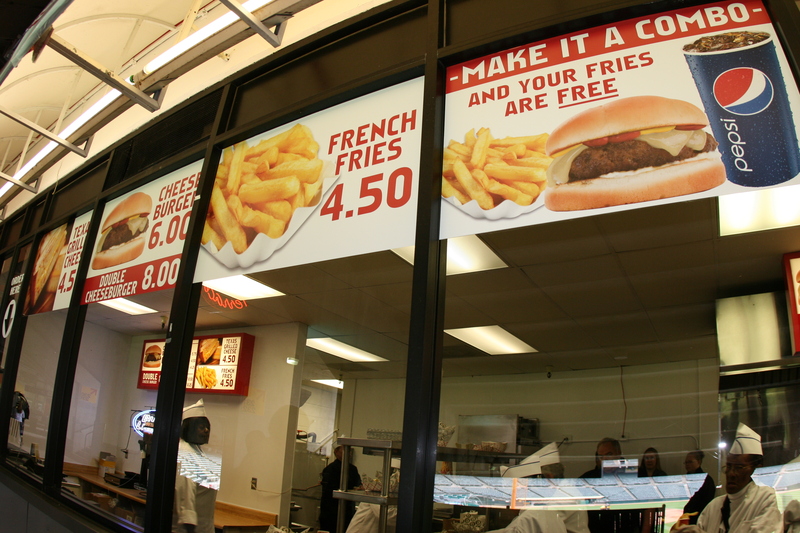 The Burger Shack opens tonight at the Oakland Coliseum. The establishment is located on the first level concourse behind Section 132. 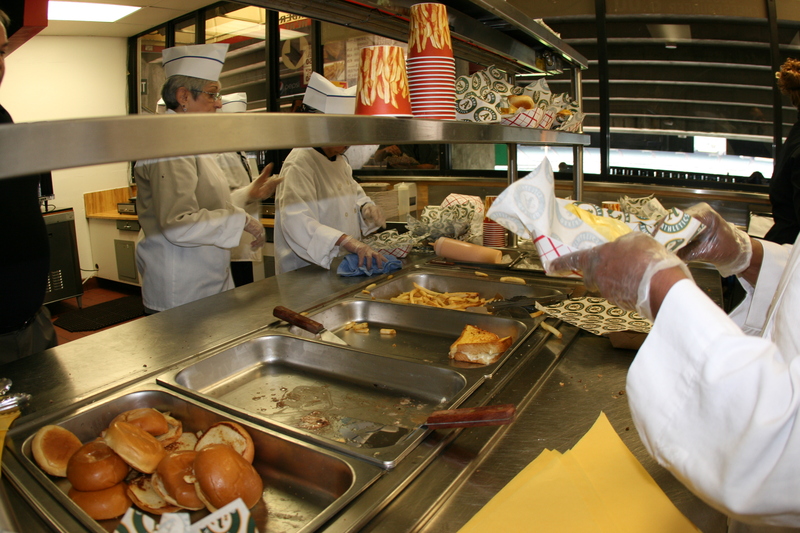 A lunchtime sampling of the menu by ticket sales and services employees put nothing but smiles on people’s faces. Cheeseburgers, French Fries, and Texas Grilled Cheese sandwiches stuffed those smiling faces. 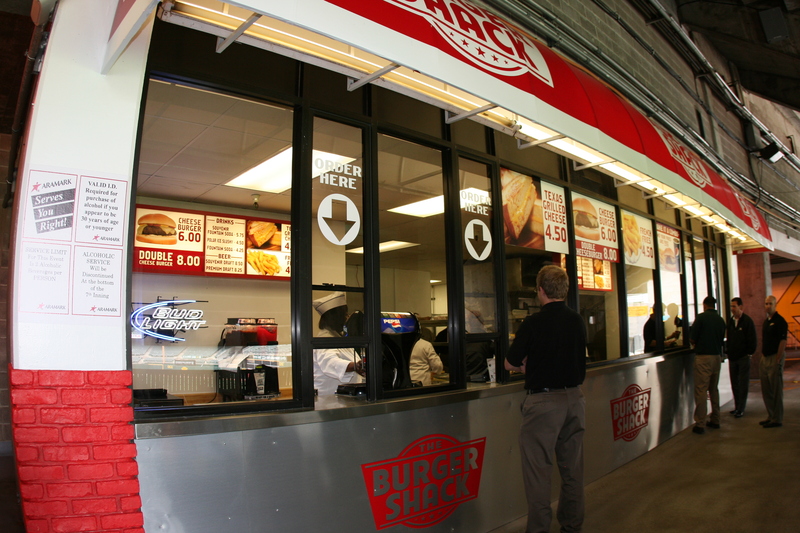 The Burger Shack will be open at tonight’s game and throughout the season. Tell them Ticket Services sent you. That won’t get you anything special, but it’ll be fun to say regardless. Gates open at 5:35 p.m. tonight. In the search to squelch a sweet tooth today, Ticket Services went digging into the recesses of the office in hopes of a hidden gem. We’re out of M&M’s. Gone are the Baby Ruths. No more Snickers to satisfy. What we found was a brick of 36 count individually wrapped 2.25 ounce “candy bars,” of which we’ll protect the name (hint: It shares its name with a semi-popular song and dance of the mid-1990s). Not quite chocolate, not really tasty, we wondered who would buy such a large quantity in a big box store or even one in a convenience store. We decided to taste test. We sliced the log into more manageable sample sizes and commenced chewing. While savoring the flavor we each identified three words to describe the experience of this candy. We hope you enjoy as much as more than we did. And finally… Hard to chew. However, this gentleman ate a full log by himself within minutes.